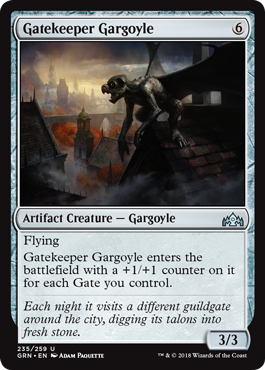 I’m not quite sure yet how good the Gate deck is, but Gargoyle is a solid payoff. With 2 Gates in play, this is good, and at 3+ it’s very good. The rating reflects a deck with 5+ Gates, and I wouldn’t play this with fewer than that.